Premier painting contractors are defined by the company they keep. As Central Indiana’s premier painting contractor, Connor Fine Painting hangs with some pretty elite company. It’s no secret that to be the best, you should work with the best. CFP has a history of working with the best-of-the-best in the Indianapolis area. From world-class educational institutions to winning sports franchises, from global leaders in insurance, pharmaceuticals and agribusiness to homeowners at some of the most prestigious and historic addresses in town, Connor Fine Painting makes them all look good. We do things right because it’s the only way we know. Which puts us in very good company. 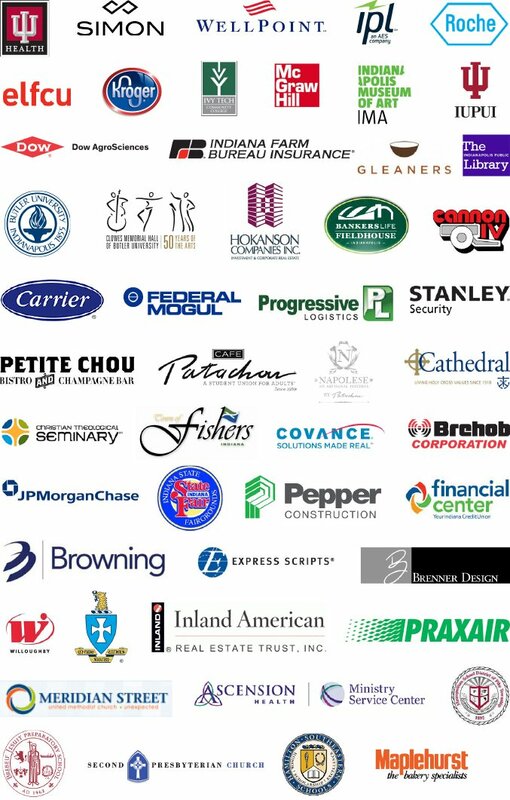 The organizations and institutions listed below are but a sampling of Connor clients. Need more? References are here, or simply give us a call. We’ll be happy to discuss how we’ll do it right for your unique painting challenges. 317.423.0000. Their workmanship and their personnel were superb and they understood the uniqueness of the building. As a result we saved time and money. Dear Bob, I cannot express how thankful we, at The Oaks, are for the work you, Nathan, and your crew put in on Friday! We could not have done it without you. I’m convinced they do the best job of anyone in the city. They understand paint. They understand finishes. They know how to lacquer. They know how to spray paint. They know how to caulk. They know how to sand. They know how to paint.